It's custom lip balm in a euro tube, bringing something new to the promotional chapstick mix! 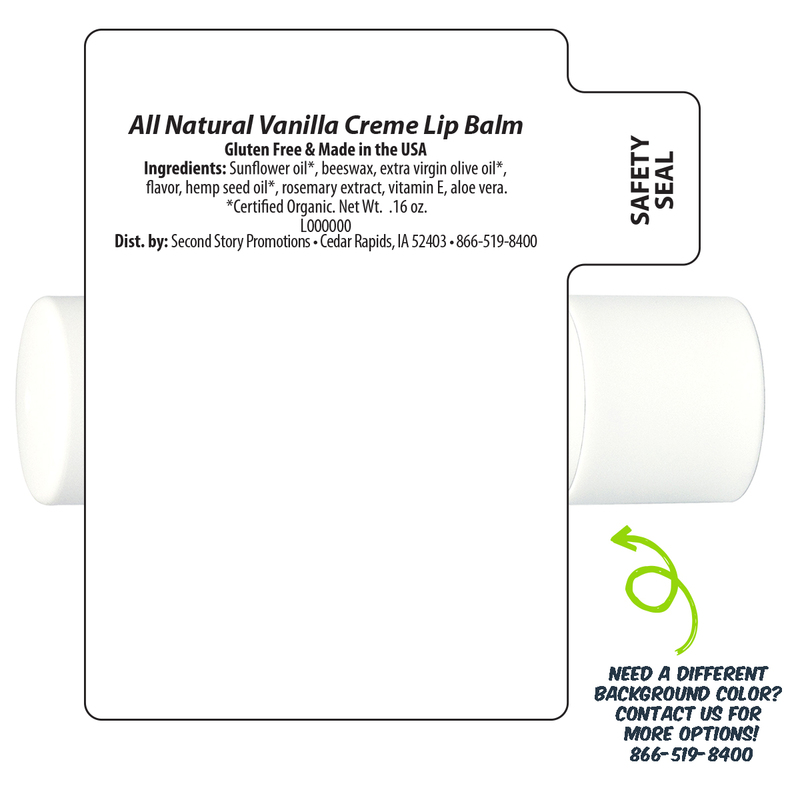 This product features a twist-up applicator, and the euro tube allows for a larger imprint area than traditional personalized lip balm for displaying your full-color logo. Count on a sophisticated promotion with an item that matches top retailers like Sephora offering the euro tube style.